Softball bats were swinging, the meat smoke crew was tending the feast, and Renn Fayre 2K17 revelers were treated to some rare Oregon sunshine. 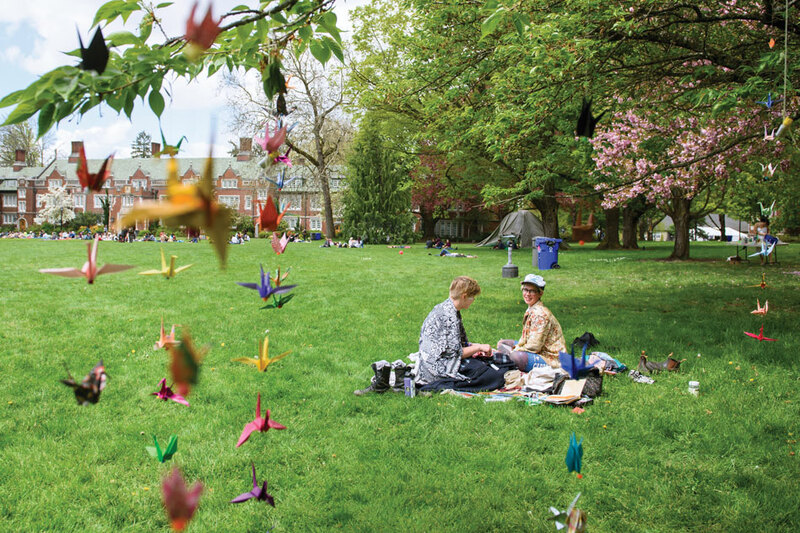 This year’s theme, Heaven Electric, inspired gauzy draperies, an eco-glitter station, angel wings, and other celestial installations throughout campus. You could talk to God on a phone near the blue bridge, or answer as God at the other end of the line, located near the chemistry building.